Hi friends! Yellow moong dal is extremely light and easy to digest. It is easier to cook. Moong dal is used for making soups, stews and purees. 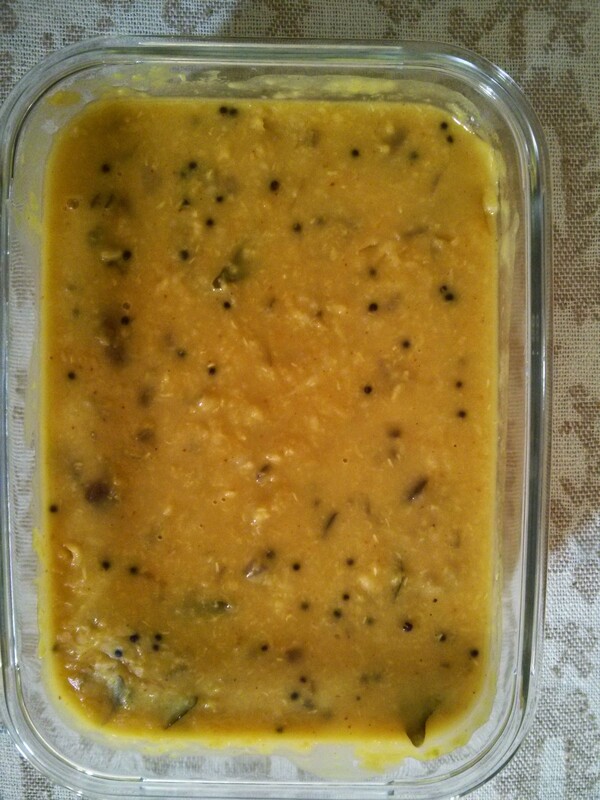 Wash well and soak the Moong dal in three glasses of water , keep aside. Heat oil/ ghee in the pressure cooker, add asafetida, when turns pink, add mustard seeds, starts to splutters add curry leaves. Fry for few seconds (do not let it turn dark brown) . Add the moong dal with three glasses of water to this seasoning. Add salt, turmeric powder, chili powder and grated ginger to it. Close the lid of the pressure cooker and cook till the full pressure is formed ( after the first whistle, switch of the heat), let it cool. Heat ghee (clarified butter) in a thick bottom pan, fry onions till golden, put ginger and garlic paste, fry for a few minutes. Add this seasoning to the dal and mix well. Note: Moong dal is cooked in many different ways in India. This recipe with the goodness of garlic/ lehsun is very simple, delicious and with a garlic flavor. Pulses are low in fat & cholesterol, high in dietary fiber and rich in protein, making them an excellent heart healthy food choice with established health benefits. It is used for making the legendary dal tadka and dal fry. It is eaten on a regular basis in every indian household in combination with rice and vegetables. Moong dal is a dieter-friendly dal rich in iron and potassium. Iron helps maintain haemoglobin levels and potassium helps reduce blood pressure, a boon for hypertensive people. It is extremely light and can be easily eaten when you fall ill and even by pregnant women.